Nepal Oil Corporation Published Exam Centers and Written Exam Routine for the various post that will fulfill from Internal and Open Competition. The written exam will be held by Lok Sewa Aayog. 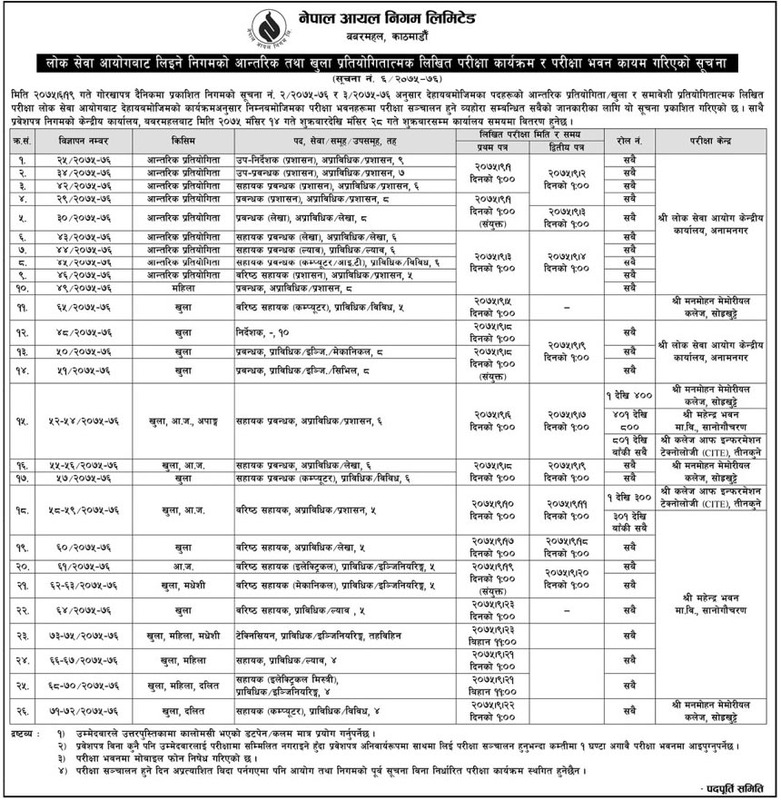 Below is the complete list of exam dates and exam centers of Nepal Oil Corporation.